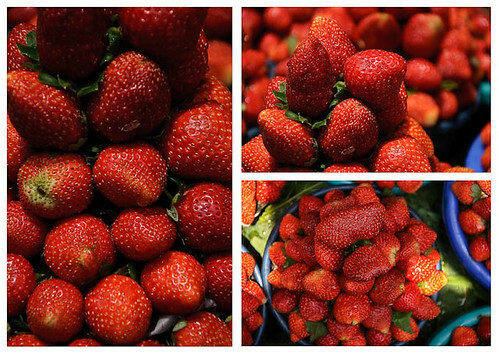 Strawberries, originally uploaded by photoholic_royd. These pictures were taken in Mahabaleshwar, India while I was walking around the market. I just love the fresh red colour of the strawberries.